Every time we lock our door, we take the security of your property for granted. Not until we loose or break a key, or have our Scottsdale homes and cars violated do we comprehend the value of securing our property. Ensuring our property is secure is more important then remedying a security breach. Not everyone is mechanically inclined. Why leave the security of your property to chance? 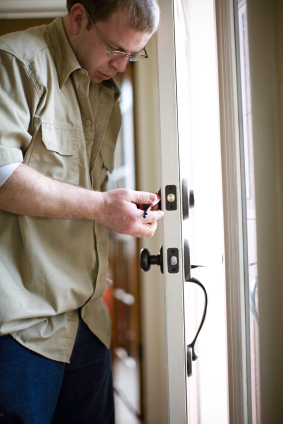 Adams Locksmith will repair your existing Scottsdale home or business door locks or install entirely new hardware. Due to lack of space, our technicians carry few door hardware pieces. However, if you've purchased the desired lockset, why not leave the installation to a professional? Either way, Adams Locksmith, serving commercial or residential properties in Scottsdale, Paradise Valley, Carefree, Northeast Phoenix, Mesa and Tempe, can ensure that you won't remain locked away from your valuable property and the cost to regain entry won't further dampen your day. You can expect professional and efficient service from the technicians at Adams Locksmith. Please note, our services are not applicable to high security locks, proprietary locks or keyways.